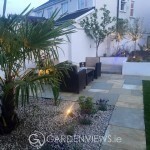 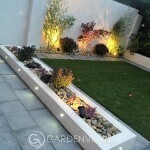 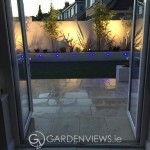 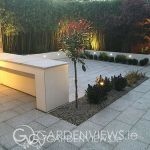 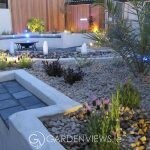 The vast majority of this garden was dull, dreary and consisted mainly of concrete, our clients brief was to bring life back into an unused space. 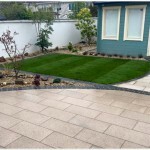 Composite decking was the main material of choice and gave a perfect option to walk straight out from the house without having to encounter any steps. 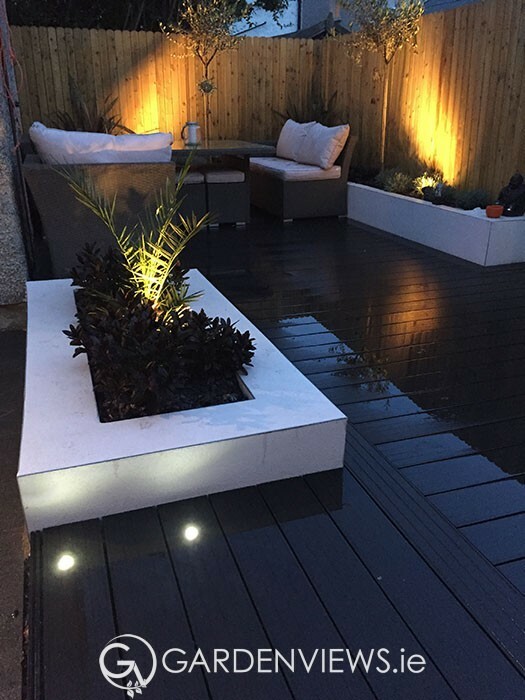 We used strategically placed planting beds at the side to break up our decking and offer highlighted focal points once the switch was turned on throughout the darker evenings. 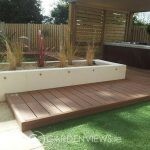 Raised, rendered beds were used near the end of the garden to offer colour contrast to our grey decking while also defining our lines for the main entertaining area. 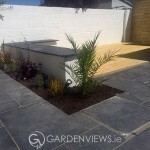 We used 8” solid blocks for our raised beds which could also be used as seating and in turn maximising the small space we had to work with.